My mission has always been to help families get the sleep they all need. Admittedly, I usually focus on helping you help your child learn the skills they need to sleep. I have probably written a thousand pages on naps alone – for your child. But the latest research points to the value of a good nap for YOU, the parent. Recently, the Huffington Post also encouraged adults, even those in the workplace, to consider the importance of an hour siesta or, at the very least, a 10 minute horizontal break. I want to add my voice to this conversation by saying yes to the idea of a nap for you! Many of you are home caring for young children and some are in the workforce wearing a few hats. Whatever your station in life is, it may be possible, with a little creativity, for you to incorporate this idea into your routine. Even taking a real, mid-day nap break a few days a week could give you significant wellness benefits. Let me tell you about the potential positives of a nap! Also, nappers, from this same University of Michigan study, were far less impulsive after a 60 minute nap. Having trouble losing that extra baby-weight? It may be because you are not getting enough sleep and resisting the urge to grab that afternoon carb-loaded sweet is just too difficult. But, if you took a nap, or even just laid down horizontally and closed your eyes for 10 minutes each afternoon, your willpower should increase. This may give you the edge you need to fight off the afternoon cravings! Maybe it will also help you hold your tongue when you find Johnny putting legos in the toilet again. Maybe. NASA scientists studied how to manage the fatigue of their workforce in a 24 hour operational setting. First of all, every mom of a newborn feels like they have entered the same kind of workplace demands of a 24-hour operational setting! Who knew you had so much in common with astronauts? NASA found that a 40 minute nap significantly helped their pilots be more alert. If a 40 minute nap is good enough to pilot a spaceship it is probably good enough for you to manage the rest of your day! It makes sense that a nap would help lower your blood pressure. Just stopping what we are doing and sleeping resets the stress level. But research has also shown that just thinking about taking a nap can even lower your blood pressure! That shows you the amazing power of the mind. It also reminds me of the good of calming stretches or yoga. If we get good enough at relaxing through calm stretching we can also receive some of this same benefit. Some days this may be a good alternative to actual napping. There are some fascinating studies that prove the power of a nap in retaining information. Ever stay up all night studying only to blank on that big final exam? Well, the smart ones study hard AND get a good night’s sleep because that sleep actually cements the information in the brain for long-term storage. Recently, researchers in Germany studied this same idea in terms of nap-taking. You guessed it. Nappers were MUCH better at retaining detailed information than those who just watched a dvd for an hour and then had to regurgitate the information. Want to know why? The hippocampus, a brain region known to play a role in consolidating memory, transfers newly learned information into memory storage after the information is learned. During sleep the hippocampus is supercharged to retain this new information. Bottom line: are you feeling a little fuzzy in the memory department? 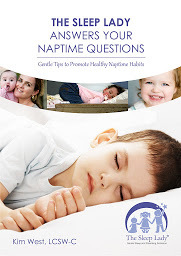 Make a daytime nap as much a priority for you as it is for your baby and you should see a real improvement. Naps also improve your creativity and imaginative abilities! Sometimes I could feel dull during the afternoon tea parties or creative playtime with my daughters. A nap would have helped! Seriously, your livelihood could depend on your ability to design, build, paint, write, or create something. If you are in a slump it may be linked to a lack of sleep. Can you fit in a nap (45 minutes or just 15 minutes of a power-snooze) to boost your imaginative powers? Lastly, our unseen health issues are more important than we realize! A no w famous study done in Greece (where they really do know how to nap!) followed more than 23,000 Greek adults and showed that those who regularly napped suffered 30% less coronary issues. Results were much better for workers who napped: they were far less likely (about 64% less likely) to suffer heart disease than those who worked right through the day without a nap. Heart disease kills more than 650,000 Americans each year. This means that the American workforce would do well to pay attention to our Mediterranean friends who stick to traditional mid-day breaks and siestas. So, what do you think? Are you convinced that taking a nap in the middle of the day is good for you? I am! Let me know how you incorporate this into your daily life. We would all benefit from hearing how you benefit from a mid-day nap.